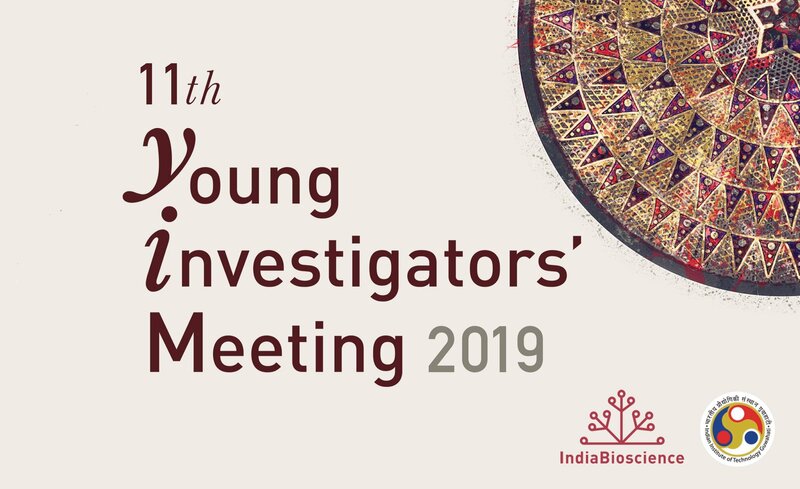 In addition to mentor talks and poster presentations, the Young Investigators’ Meeting (YIM) 2019 also hosted a number of discussions centred around topics important to life science research in India. Here is a brief overview of some of these sessions, which saw active participation by young investigators, post-doctoral fellows, and mentors, in addition to the invited panellists. The first panel discussion of YIM 2019 focused on the broad directions that Indian life science research is expected to move towards in the coming few years. One of the early points raised during the discussion was the dichotomy between basic and applied research and whether funding decisions rely on which of the two categories one’s proposal falls into. While Rao suggested that there is a bias on the part of funding agencies towards rewarding applied or translational research more than fundamental research, Ravindran strongly opposed this notion. He added that no good translational research begins as a purely translational project – rather it is findings from basic research that often lead to unexpected translational directions. Using an example from his own lab’s work, Mayor suggested that while it is imperative to continue doing good science, basic researchers should also spend some thought on whether or not any of their findings have a potential for translation. Finally, Shahid Jameel (Wellcome Trust/DBT India Alliance) who was in the audience, pointed out that no funding agency makes unanimous decisions – it is scientists who sit on committees and panels, and therefore have a collective responsibility for evaluating and contributing to the progress of good science, both basic and applied. Another point which emerged during this discussion was that young researchers returning from abroad often pick a problem which is similar to their post-doctoral work – yet that problem may not be particularly relevant in the Indian context. The panel agreed on the fact that indigenous problems, or issues with a uniquely Indian context, need to be given more importance. The discussion also touched upon collaborative research, especially collaborations between clinicians and researchers, which need to be better addressed and facilitated. Bergmann provided a few pieces of advice based on her experience, stressing that collaborations are not necessarily free of conflict, they don’t always form naturally, and therefore need to be carefully nurtured and maintained. Finally, the panel also discussed the issue of publications in the light of recent worldwide trends that support open access and moving away from journals with high publication fees. Vale called this “a conversation that India should be participating in, and not watching from the sidelines.” He also spoke about how the journal hierarchy system today acts as a proxy for evaluating the quality of research and determines our reward system, a scenario which he believes is “destructive to science as a whole”. The discussion began with the three funding agency representatives on the panel (Jameel, Kaveri and Punjabi) each giving an overview of the mechanisms and opportunities for funding in place at their respective organisations. Both the panel and the audience agreed on the need for greater transparency in funding procedures and clear timelines, coupled with better quality of reviews and feedback, particularly when a grant application is rejected. Another point that came up through interactions with the audience is how funds need to be flexible in order to accommodate the needs of different areas of biology – for e.g. a field ecologist would need to utilize his/her funds in a very different way from a cell biologist, and current subheads in grants often don’t allow this. Speaking about the institutional side of funding, Thelma pointed out the huge difference in infrastructure and funding between state and central universities, particularly the lack of intramural funding in the latter. Bhandari spoke about the need for institutional mechanisms to provide adequate start-up grants for new faculty, as well as to ensure that labs can sustain themselves once the initial grants are over. While most of the panellists agreed that the percent GDP spending on science and technology in the country must go up, they also stressed that we need to start looking outside the government system to attract more funding, including corporate resources. This panel discussion focused on the topic of how scientists utilising taxpayer money have a responsibility to the general public of communicating their science. “Communication is an integral part of a scientist’s career,” said Iqbal, delineating the ways in which India Alliance encourages its fellows to engage in various forms of public outreach. Joshi pointed out how phrases such as ‘communicating to the masses’ or ‘communicating to the common man’, which are often used in this context, tend to look down on the audience, setting scientists apart from society. He also spoke about the importance of communicating science in languages other than English, and some of the initiatives by the Indian Academy of Sciences in this regard. Mukunth, in turn, spoke about the responsibility that science journalists have to further science education in a country where the media tends to provide a more accessible account of scientific development than classrooms which focus on rote-learning. He proposed that we take advantage of the fact, and write articles that help in building scientific knowledge and not just communicate recent news of discoveries. Ravi, who is a chief editor of Azim Premji Foundation’s I Wonder magazine for middle school science teachers suggested some approaches for scientists to communicate better, including getting to know one’s audience, and to reveal the process or the method of doing science instead of just focusing on the result. Lazar spoke about his experience with creating science illustrations and on promoting science ‘engagement’ rather than just science communication. He suggested pushing the boundaries of the ways in which we communicate science in order to promote more collaborative learning with the audience. Dogra, on the other hand, spoke about how journalism can bring to the fore strong social issues, including the pressing needs of women and minority communities in science. Some additional issues that were raised in the discussion with the audience were the importance of maintaining accuracy in news reports, the lack of primetime media coverage on science policy, and on social media as an emerging platform for communication. This panel brought together three young investigators (selected from amongst the participants) and three experienced researchers to discuss the importance of mentorship, and how to provide the same to the next generation of scientists. The discussion revolved around the questions of whether mentorship should be ‘hands-on’ or ‘hands-off’, whether advisors should be friends with their students or maintain distance, and under what circumstances can the mentor-mentee relationship break down enough to consider termination. Mallik stressed the importance of teaching the mentees to become effective mentors themselves, as this allows the lab to become a nurturing ecosystem where more experienced members can mentor less experienced ones. Most panellists agreed on providing some initial guidance to students, but also providing them room to grow. “I try to allow my students to make mistakes,” said Sundaram. On the question of distance, while almost all panellists agreed that a certain level of professional distance is desirable between students and mentors, the advisors should still keep an eye out if the student is struggling due to issues of a personal nature. The importance of paying attention to the student’s mental health was raised, given the inadequate support system for the same in most institutes and universities. Finally, both the panellists and audience agreed on the fact that mentorship should be taken into consideration while deciding tenure, in addition to a researcher’s scientific output. In addition to panel discussions, a breakout session on lab management was held, wherein participants were divided into three groups for discussions on issues ranging from initial lab set-up to obtaining grants, working with administration, leaning on the expertise of colleagues and senior faculty, sharing common facilities and more. Poster presentations by both young investigators and post-doctoral fellows showcased research across diverse life science disciplines, and gave rise to many fruitful interactions and discussions. Finally, the recommendations born out of breakout sessions during YIM 2018 were discussed with both participants and Institute representatives, and consensus was sought on taking the same forward. YIM 2019 was an opportunity for young researchers to understand the science ecosystem in India, discuss trends in biological research, and form deep connections and professional networks with those of a like mind.